Visitors are welcomed all year round - busiest time is mid June to September. Fact File: This island is a 20 minute boat journey from Cunnamore or 10 minute boat journey from the coastal village of Baltimore. 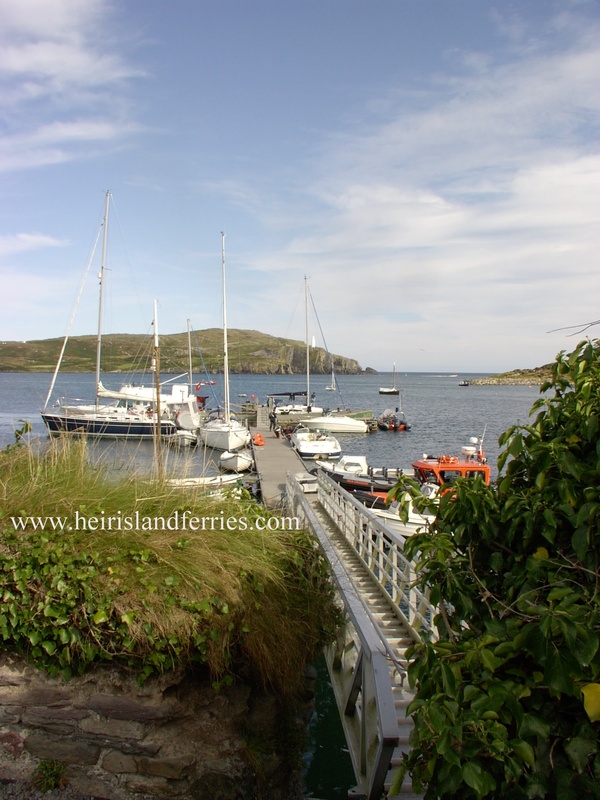 There is a Hotel, Guesthouse, Hostel, Restaurants, Pubs, Island Taxi in the Summer and a Rural Transport Bus in operation all year round, there is a Marine Station, Galleries & a Community Centre which also houses a library with exhibitions of local artists & craft makers. This island is steeped in history and is the ancestral home of the O'Driscoll Clan; with their castle Fort of the Ships (Dún na Long) which was built in 1460 by Fineen O'Driscoll later destroyed by neighbouring seafarers in 1537 and thus lies in ruin to this present day. Also on view, just above the main pier a 15th century Franciscan Friary ruin and lies in wait for you to explore. 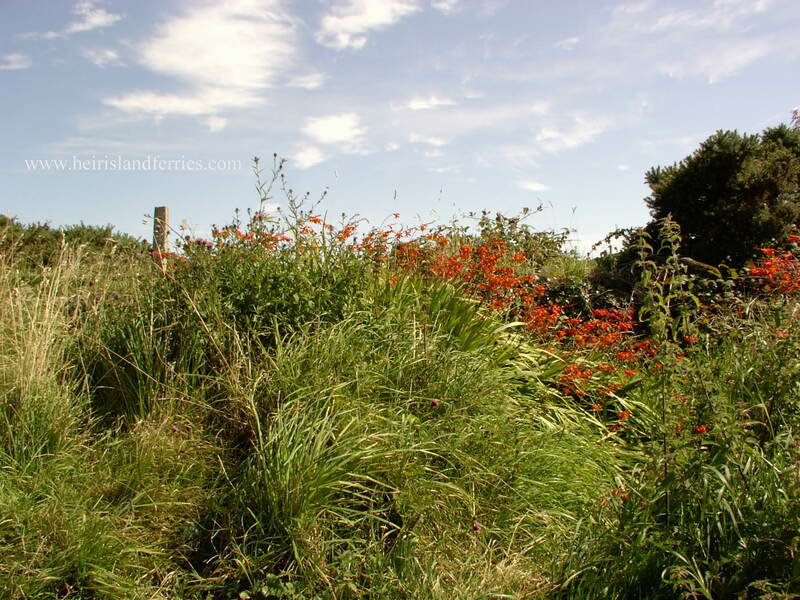 The Island has over 5 mile of road which lead to many strands and it is recommended when walking to relax and unwind in the splendid surroundings of Sherkin Island. During the summer months there are lively music sessions. 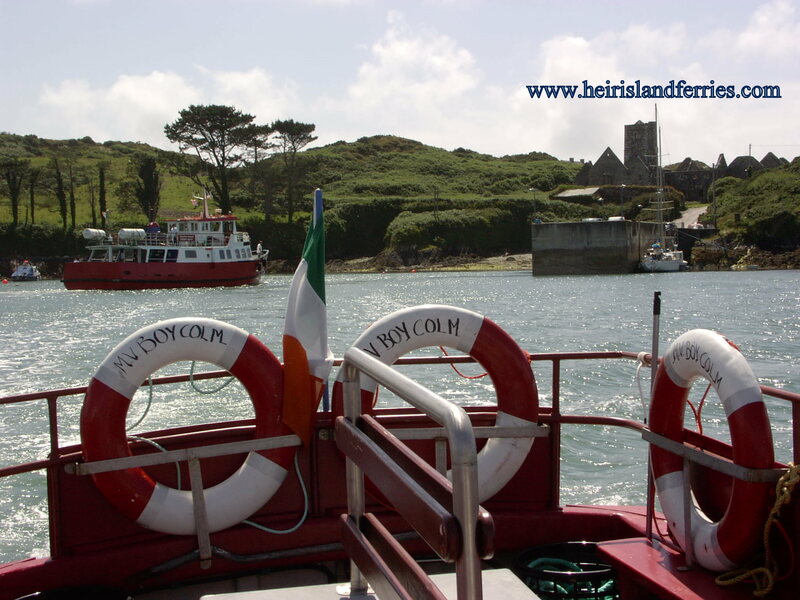 Sherkin has much to offer in the way of natural beauty and peaceful surroundings and this together with its vibrant community makes it a perfect destination for that special visit.